If you followed my guide on unlocking KitKat's real full-screen mode on your Nexus 7, your navigation keys will actually be hidden, requiring a swipe to reveal them and tap to go back. This mod makes it more efficient by replacing two steps with one. Even if you're on the stock UI, swiping back is way smoother than tapping. Thanks to XDA dev Petercxy, with a simple swipe you can easily track backwards through your apps. 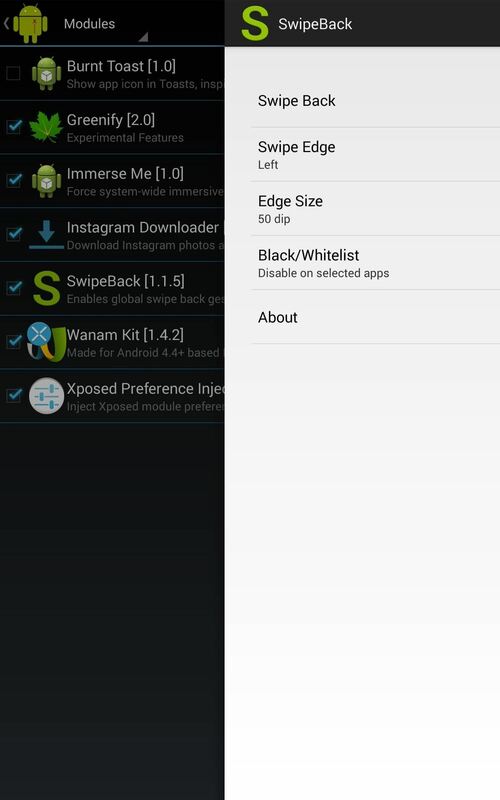 Head to Xposed Installer, select Download, and search for SwipeBack. Head back into Xposed Installer and go into Modules. Select SwipeBack, then reboot your Nexus 7. 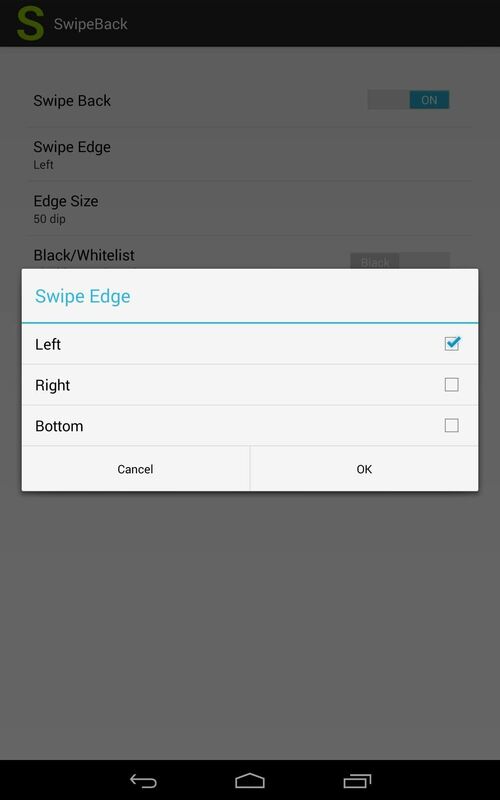 The setup allows you to choose the location of your swipe gesture. You can select to bottom, left, right, or all three if you want (though, I wouldn't recommend it). 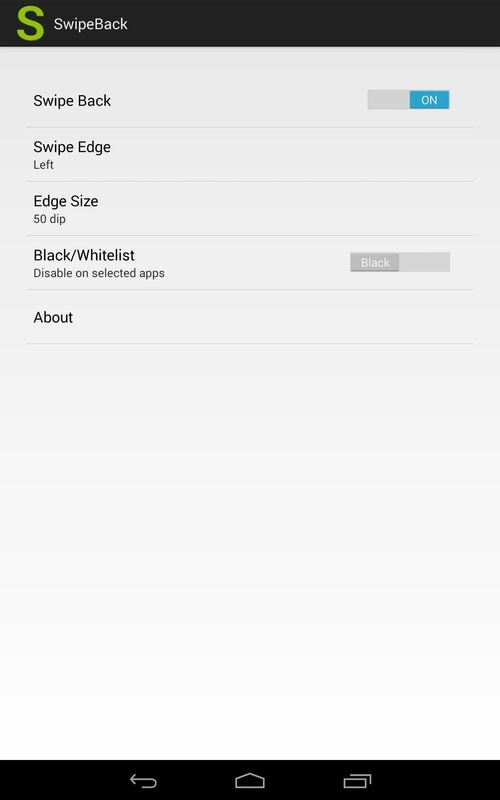 Also available is the ability to blacklist apps in which you don't want this back action applied to. 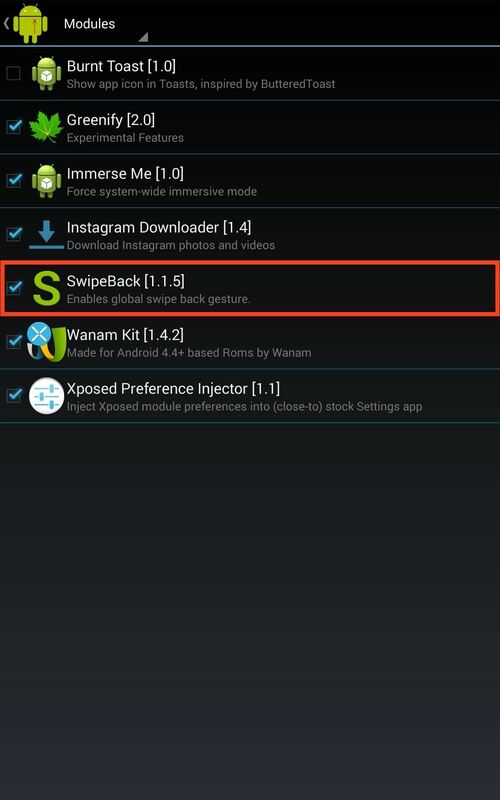 SwipeBack is an extremely helpful module for me, since immersive mode hides my soft keys. Hopefully you find it just as convenient, even if you're not in immersive mode. If you liked this tweak, check out some of our other Xposed Mods for the Nexus 7 to see what else you can do. And as always, leave any comments you may have below. Cool beans bra¡ Thx... ?? 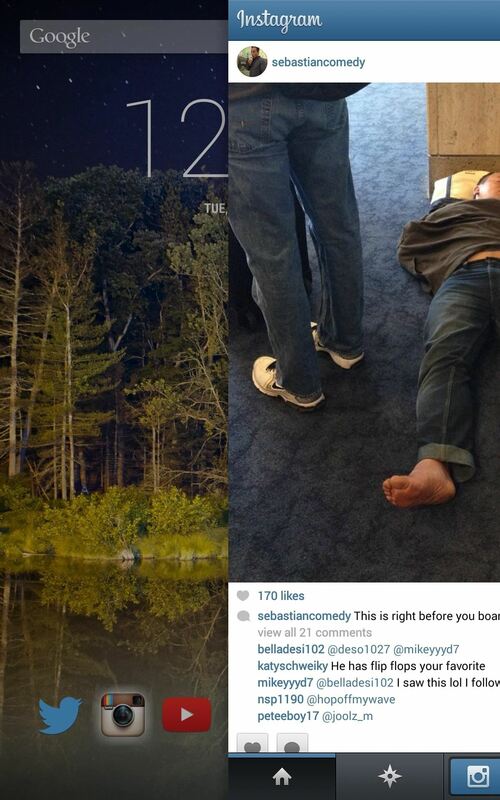 Definitely, bro! Enjoy that sh*!